AAA State of Play Blog: Why Rubber Playground Mulch is Beneficial for Your Backyard? Why Rubber Playground Mulch is Beneficial for Your Backyard? It's always a good idea to convert the backyard into the private playground for your kids. To provide the safer environment to your kids, you must use the high quality playground mulch in your backyard. Playground mulch not only protects your children but also provides a clean surface. Grass cannot protect your kids from injuries. In fact, it becomes too hot & dry and easily wiped out from the ground surface during summers. Therefore, you should use the high quality rubber playground mulch to make the backyard playground safer for your children. Covering the rough ground with rubber playground mulch is the best way to protect your kids. Rubber playground mulch is made up of used rubber materials, which can be placed about six or more inches above the ground. It requires less or no maintenance. You can also easily dry the wet rubber mulch in few minutes by using a hose. Well placed rubber mulch can stick to the ground for years on end. Unlike grass, rubber playground mulch prevents the spread insect and other rodents in your backyard. During winters, rubber playground mulch gets warm and provides a comfortable surface for the kids to run on. 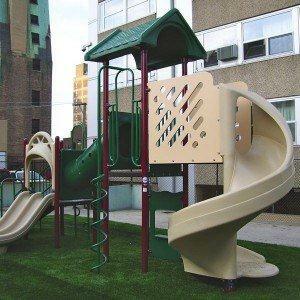 You can explore the wide collection of superior quality playground mulch at AAAStateofPlay and buy one for your backyard at reasonable prices.